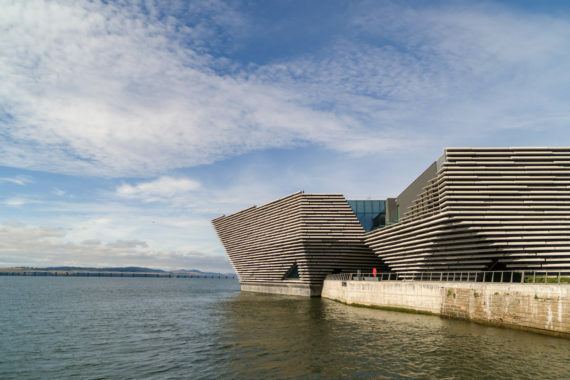 With the brand new V&A Dundee set to open this weekend on the banks of the River Tay, Dundee-based artist Valerie Norris introduces the city's lively visual arts community for the latest in our ongoing series looking at art scenes around the UK. Like the ebb and flow of the ‘Silvery Tay’ at its edge, Dundee’s fortunes have fluctuated over the years. Situated on the north east coast, it is Scotland’s fourth largest city. Following industrial decline in the latter part of the 20th century, in the last decade or so Dundee has been finding its feet again with significant investment and regeneration, at the forefront of which is the new waterfront-located V&A Dundee, which opens to the public on 15 September. As with any other regional city, in the past Dundee has struggled to hold on to its artists, who were understandably lured away by the opportunities and networks offered by larger cities like Glasgow, Edinburgh and London. However, this appears to be slowly changing and although there are still challenges, these days Dundee has a lot to offer artists. The visual arts community in Dundee is small but vibrant and supportive, and has been instrumental in energising and changing perceptions of the city. 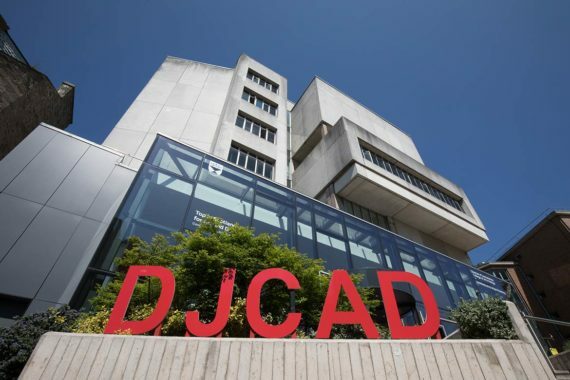 A cornerstone for many artists is the renowned art college, Duncan of Jordanstone College of Art and Design (DJCAD). Part of the University of Dundee, it is ranked number one in Scotland for art and design and notable DJCAD alumni include Susan Philipsz, Lucy McKenzie, Luke Fowler and Katy Dove (1970-2015). 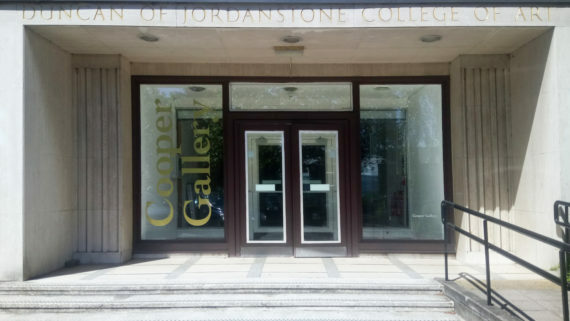 Based within DJCAD, the Cooper Gallery runs a rigorous programme of exhibitions, research and events. Its unique focus on creating ongoing relationships with artists who often participate in a series of projects, makes for a rich dialogue both within and beyond the college walls. The McManus (temporarily renamed ‘The McMenace’ in homage to the Dundee-based Beano’s Dennis the Menace), is a stalwart of Dundee’s visual arts scene, celebrating its 150th year anniversary in 2017. The galleries span old and new, showing contemporary art exhibitions alongside the collections. 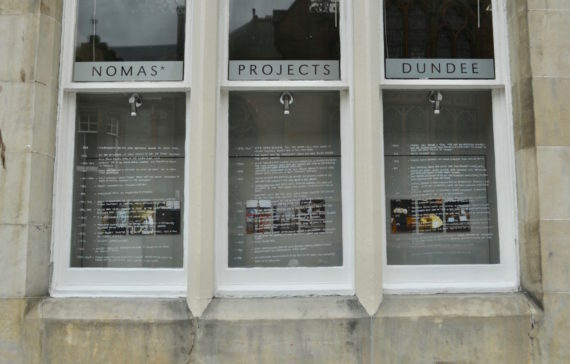 The McManus is also the administrative home for the Dundee Visual Artist and Craft Maker Awards which provides crucial support to many locally-based artists and makers, along with the more recently established Mentoring Scheme. One of the longest-running artist-led initiatives is Generator Projects, an artist-led exhibition and project space founded in 1996 by DJCAD graduates. Based on the model of Transmission Gallery in Glasgow, they are housed in a former industrial unit in the west end and provide a vital platform for artists based both locally and further afield. This includes the annual They Had Four Years exhibition which showcases work by a handful of graduates selected from Scottish art schools, one year on from their degree shows. 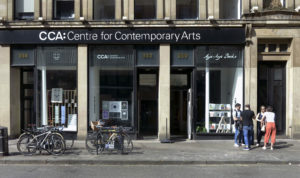 When it opened in 1999, Dundee Contemporary Arts (DCA) was pivotal in repositioning and consolidating the perception of Dundee as a city in which you could see cutting edge, contemporary art, and was integral to Dundee’s reinvention as a ‘city of culture’. DCA has two large, airy gallery spaces which are home to a diverse programme of thoughtfully curated exhibitions and events by emerging and established UK and international artists. Downstairs from the galleries is the highly regarded DCA Print Studio, which is well used by artists based both locally and further afield. 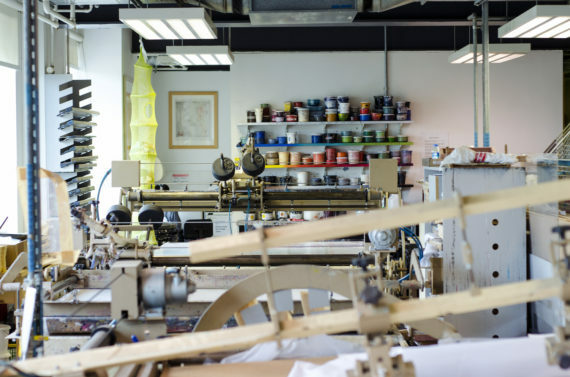 Evolving out of the print studio, Dundee Print Collective, or DPC for short, is an inclusive and fluid artists’ collective who work together on collaborative print-based projects. Often with a social or political theme and tongue firmly placed in cheek, these usually result in exhibitions and events in other locations in Dundee and further afield. Operating in a similar spirit, Yuck ‘n Yum produced their popular eponymously titled open-submission zine between 2008 and 2013, usually accompanied by always-fun launch events including the self-described ‘world’s leading karaoke video competition’. 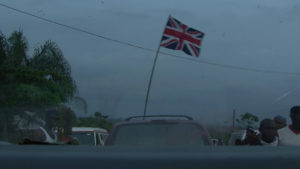 Although their members are now somewhat more dispersed, they continue to organise events and exhibitions. 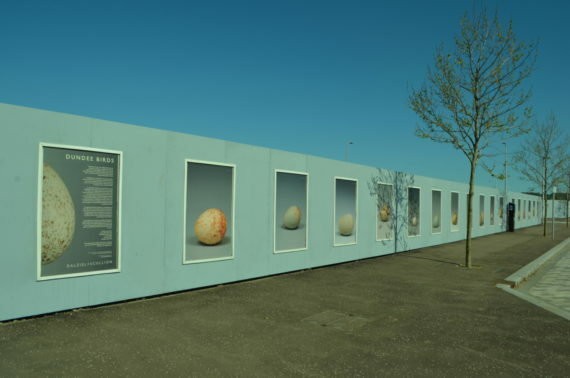 Down by the waterfront, the billboard public art project Sharing Not Hoarding works with artists and community groups to encourage critical dialogue around Dundee’s public spaces and collective identity. Its sister project is the artist-led Nomas* Projects, a unique window space viewed from the street which presents a series of thought-provoking contemporary art exhibitions to (mostly) unsuspecting passers-by. In the interests of transparency rather than self-promotion, I should mention at this stage that I am currently exhibiting at the space. Now in its 10th year and recently awarded core funding by Creative Scotland, the annual NEoN (North East of North) Digital Arts Festival supports and promotes the city’s creative digital communities. 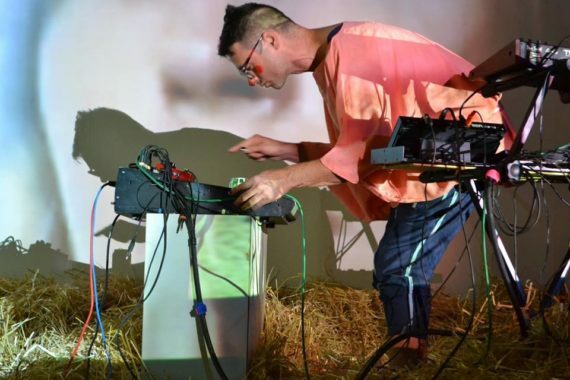 Each November, NEoN hosts an international array of artists, speakers, programmers and performers working with digital and technological art forms. A frequent NEoN collaborator is Weave at Abertay University: an ongoing series of off-site events and activities across the city with a focus on digital arts and culture. Dundee’s artistic community is also tirelessly championed by Creative Dundee. Along with their extensive website, they run workshops and events including an always sold-out Pecha Kucha Night. Since 1977 the main studio provision has been Wasps Meadow Mill Studios, a former jute mill. A refurbishment several years ago created more spaces and made the studios much more habitable – artists no longer have to put on five layers of clothing in winter (I write from experience). The building now has 58 studios, housing around 100 artists and makers. However, a long waiting list and an increasing artist population would suggest there is scope for more studios in the city and for the moment at least, there are plenty of disused buildings that could be potentially developed. 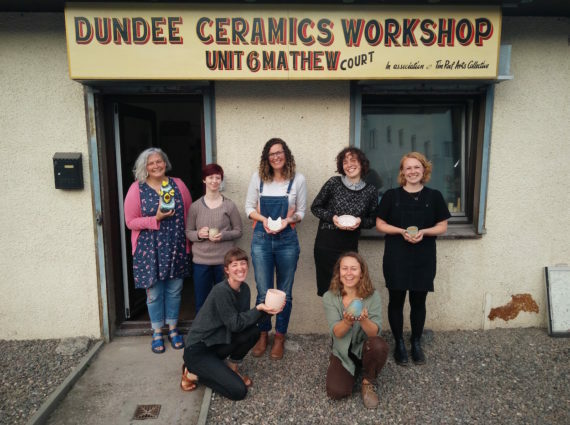 Around the corner from Meadow Mill is Dundee Ceramics Workshop, founded in 2016, which evolved from the ashes of the Tin Roof Arts Collective. 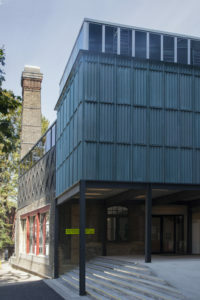 It provides workshop facilities and ceramics tuition, filling the gap that was left by the closure of the much lamented ceramics department at DJCAD many years ago. There is no question that the V&A and the new waterfront development is an exciting and positive phase in Dundee’s history. And as with any other city in transition there is much discussion locally about Dundee’s collective identity and future, and how these changes will affect and benefit its citizens. What Dundee now needs to ensure is that once the hype settles down, the new infrastructures and economies continue to support and nurture the city’s creative communities in the years to come. On Friday 12 October 2018 a-n hosts Assembly Dundee at Unit 6 Vision Building, 20 Greenmarket, Dundee. The all-day event will explore the idea of ‘cultural outposts’ and the challenges and advantages these offer for sustained artist-led practice.